Traditional compost piles tend to be less active during the winter as the core temperatures drop. Bokashi composting offers a great solution for composting your food scraps during these colder months and throughout the year in colder climates. You can continue to compost all of your food scraps in your bokashi kitchen composter through the winter. 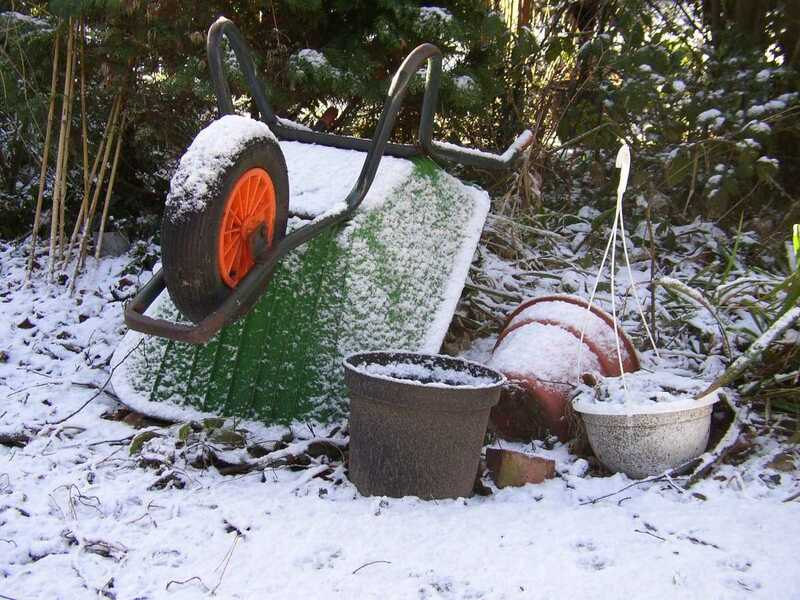 If you normally keep your bokashi bucket outside, move it to somewhere where temperatures will not drop below freezing. Your bokashi bucket should be kept at around room temperature whilst it is being filled and during the fermentation process. Keeping you bokashi bucket inside is often most convenient as it is close to where food waste is produced. If possible, leave your bokashi kitchen composter for an extra few days to complete the fermentation process, rather than just the two weeks usually suggested. The pre-compost may take slightly longer to break down after being buried during the winter. So make sure the fermentation process has had plenty of time before transferring the pre-compost outside. 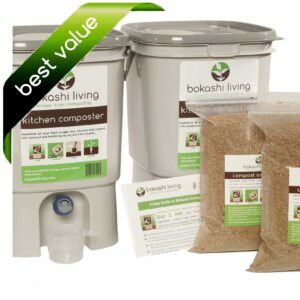 Consider adding another bokashi bucket to your bokashi composting set-up to allow extra time for the contents of your full bokashi buckets to ferment. If you are still able to dig your soil then make the most of the winter months and use the trench method. This is a great time of year to get nutrients into your soil and you likely have some vacant patches where you can dig your trench to bury your pre-compost. Alternatively, add your pre-compost to your compost pile. The microbes in the fermented bokashi pre-compost will add life to your compost pile. This life is really beneficial particularly during winter when your compost pile is fairly inactive. If your ground is frozen and difficult to dig then try making a soil factory. Using a soil factory eliminates the need to dig a trench in your soil and means that you will have plenty of compost ready to use in your garden in the spring. Another great option during the winter is to simply leave your pre-compost over the winter. Place your pre-compost in an airtight container and then add to your garden, containers, compost pile etc in the spring. Once it has completed it’s two weeks fermentation it is less sensitive to cold temperatures. 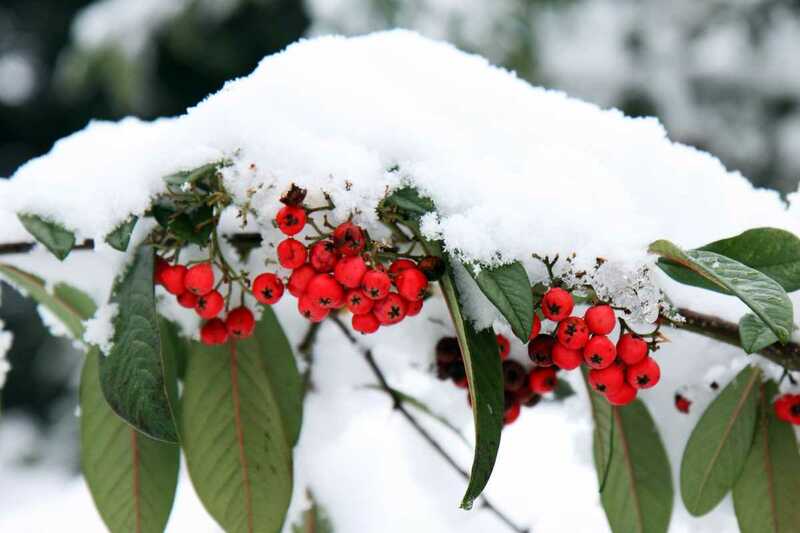 Sub-zero temperatures will simply cause the bokashi microbes to become dormant. Avoid large fluctuations in temperature. It’s best to keep your airtight container out if direct sun or wind. Remember to add a thick few layers of paper (or other absorbent material) to soak up any excess liquids. Simply store your fermented food waste until you need it. We have had a number of customers ask if they should wait until spring to order their bokashi composting kit or their bokashi bran, as they are concerned that cold temperatures during shipping will kill or harm the bokashi microbes. But there is no cause for concern. During shipping of all our Bokashi Living orders, depending on the destination, we use a combination of air and ground transport. The cargo areas in both these transport methods is controlled and kept above freezing temperatures. Along the way, packages can also sit overnight in heated warehouses as well, depending on the destination. 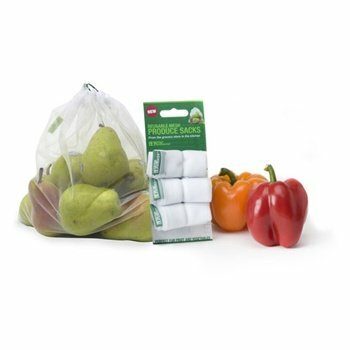 So, go ahead and order your bokashi composting supplies. Give yourself a head start with fantastic compost to get your garden started in the spring!